Cocaine, cannabis and cash were seized in a series of drug raids in Brighton and Hove. 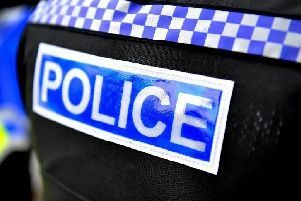 Sussex Police said it made 15 arrests during three days of action at Lower Rock Gardens, Russell Square, Brighton, Brunswick Square, Hove, and in The Dell, Southampton. The Brighton and Hove Community Investigation Team (CIT) seized 1.3 kilos of cocaine and 5.3 kilos of cannabis and more than £23,000 cash at the Brunswick Square address, as well as drugs and cash at other addresses, police said. A Sussex Police spokesperson said: “Nine men have been charged with drug offences. Euxhenio Hoxha, 20, and Florjan Kadiu, 25, both of Lower Rock Gardens, Brighton, Edricim Xepha, 25, Ervis Jahja, 28, both of The Dell, Southampton, all face charges of conspiracy to supply cocaine and money laundering. Hoxha and Kadiu are also charged with possession with intent to supply cocaine. “Esmeraldo Tola, 25, also of The Dell, Southampton, was charged with conspiracy to supply cocaine. They all appeared at Brighton Magistrates’ Court on Saturday (March 16) and were remanded to appear at crown court on April 16. “Flogert Topalli, 25, and Alkeo Kaca, 30, both of Russell Square, Brighton, and Florin Suli,19, and Gazmar Hailili, 29, both of Brunswick Square, Hove, were charged with conspiracy to supply cocaine and money laundering and possession with intent to supply cocaine. Suli and Hailili were also charged with possession with intent to supply cannabis. “They all appeared at Brighton Magistrates’ Court on Wednesday (March 20) and were remanded in custody to appear at crown court on April 17.